The CS3 is one of the fastest, most accurate fully-automated cutoff saws on the market for non-ferrous extrusions and plate cutting. Used by both extruders and service centers, it handles materials from 8” to 12” thick with a cutting window of 36”, allowing a tight level of cutting accuracy. The standard backgauge supports materials from 12’ to 80’ in length, and can be customized to up to 100’. The backgauge reverse speed is an impressive 1200 inches per minute. Multiple levels of automated material handling are included for loading and unloading, and modular automated systems are available. 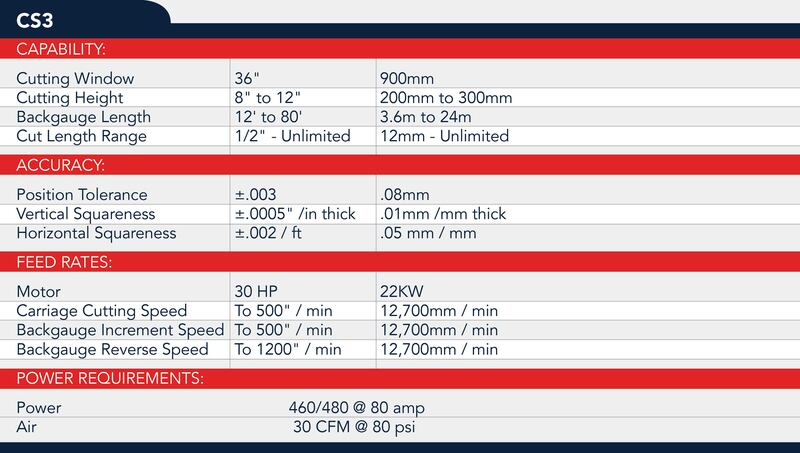 No other system delivers both precision tolerance and reliable performance in high-volume metal product manufacturing, while eliminating the need for secondary machining of cut parts. 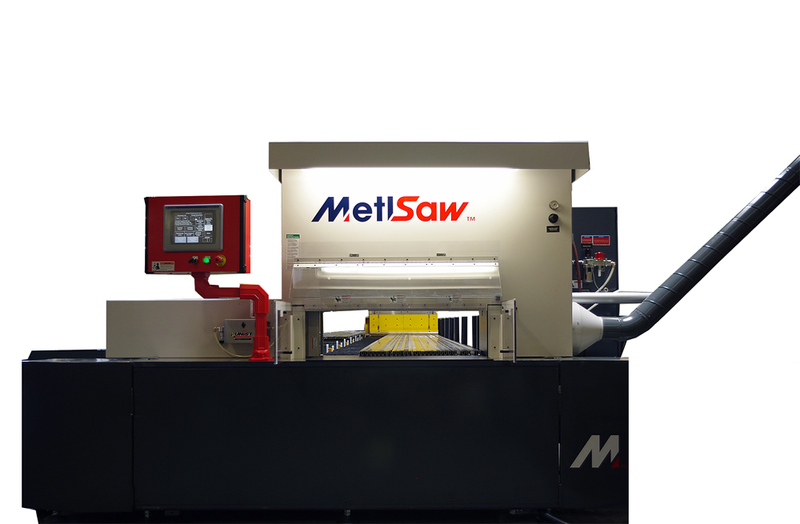 Each saw is customized and configured to the customer’s precise needs and specifications. of configuration options to ensure each system fits the needs of the customer’s functional requirements and production volume. Our saws feature state-of-the-art control systems that are updated regularly to incorporate technical advancements. Learn how you can start working smarter today! Get a new saw quote.